President Trump is expected to stay at his home in Trump Tower Monday night for the first time in his presidency. Mr. Trump is scheduled to leave his golf club in Bedminster, New Jersey, Monday for a quick stop at the White House to sign a presidential memorandum on China's laws, policies, practices and actions related to intellectual property, innovation and technology and to hold a closed meeting with Chief of Staff John Kelly, among other things. Afterward, he's expected to head to New York City to stay at Trump Tower. 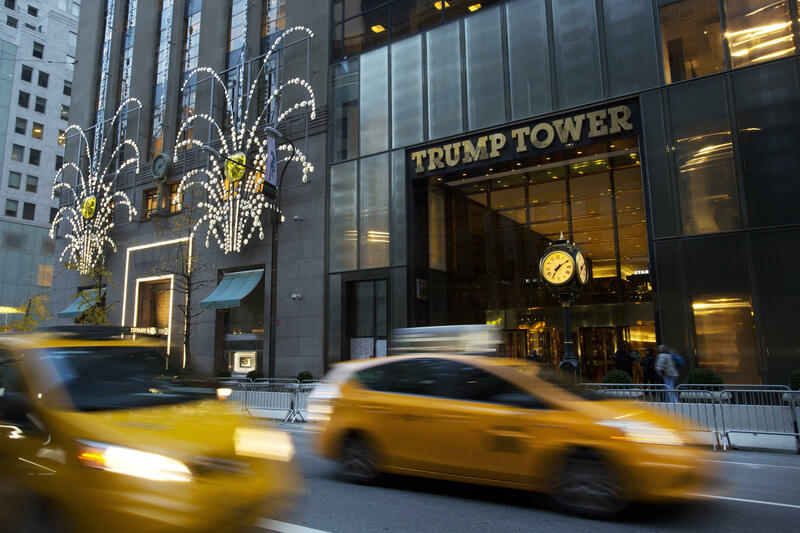 Last week, he said that he was vacationing in New Jersey instead of Trump Tower because he said being in New York causes massive disruptions. The president said on Friday that he would hold a press conference on Monday, but the White House schedule doesn't indicate that that's still happening. Protests erupted outside Trump Tower on Sunday following the attack and violence in Charlottesville, Virginia, over the weekend. Lawmakers from both sides of the aisle have criticized the president's handling of the situation. On Saturday, the president condemned the hatred, however, "on many sides," suggesting that both the white nationalists and people protesting them were to blame.